Since becoming a parent, I’ve become acutely aware of how kids toys and apparel is designed and marketed. While diverse representation of all shapes, sizes, skin tones and backgrounds is improving, it’s still far from where it needs to be. There are a few ways you can handle this: you can go out of your way to buy from brands that share similar values, you can put pressure on companies when they don’t, or you can do what Kimberlee West did and start your own company. 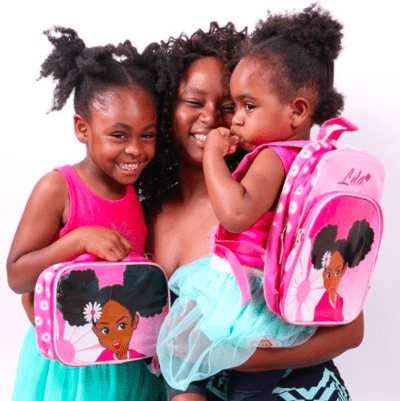 From backpacks to lunch boxes, everyday fashion to swim gear, KIDS SWAG is a fun, colourful collection inspiring confidence through representation. Kimberlee is not only giving Canadian families great back-to-school choices, but she’s also changing the narrative. Each time a kid sports a KIDS SWAG “I Can Do Anything” backpack, there’s a shift in perspective, for both the kid wearing the bag and others who see them. We love what she’s built and wanted to learn more about her company and her story. SDTC: Can you please share the origin story of KIDS SWAG? When/why did the idea to start your company first come to you? KW: It was September 17, 2011. I found out I was pregnant with my first child. I was overjoyed and immediately had flashes of the future and all the great things we would experience together. I went to my favourite store the following week just to be inspired and see what baby things they had in stock. That’s when I was reminded that even though I had all these beautiful dreams for my child and would provide the best life possible, she would enter a world where she is not considered the “norm” and her love for herself would slowly erode as she would desire to be like the images around her. 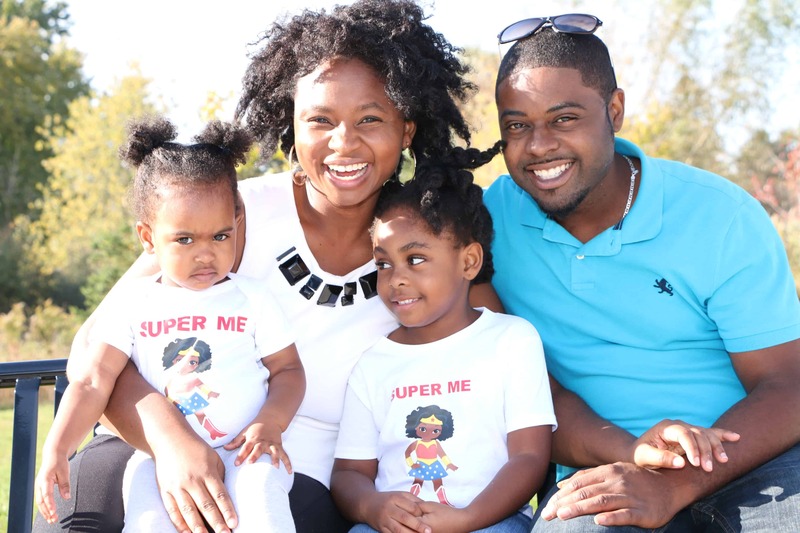 My heart was heavy and I told myself, “Not my child.” I went online and started buying everything with positive Black images that I could find for kids and would share my triumphs on Facebook. The immediate likes and inquiries into my purchases made me realize I was not alone. It wasn’t until December 2016 after having my second daughter, Khloe, that I launched www.kidsswag.ca. It wasn’t about starting a business; it was about making it easier for parents to find children products with inspiring messages and images. I had already done the work and wanted to share what I found with other parents. Your collection celebrates children of colour. What are some of the reactions from kids/parents that have motivated you to keep doing what you’re doing? 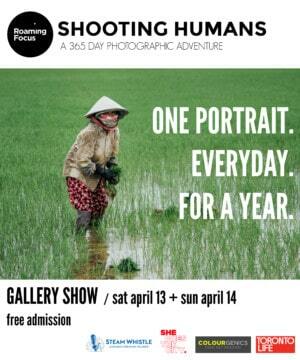 The best reactions are the gasps and awes by parents, either online or when I’m a vendor at community events. The common feedback is, “Where was this when I was a child?” or “This is so great. Thank you for doing this.” It confirms that I am on the right track and there truly is a need for my business. The kids are also so sweet because they run over and start pointing out to their parents everything they want. I had one little girl pick up one of our bags and start filling it with each item from the store. I put the video on my website because I thought it was so sweet. When you think back to your childhood, did you see yourself anywhere? Toy shelves? TV? What effect did it have on your development? I am an eighties kid of Caribbean immigrants. I was lucky to have TV shows like 227, Fresh Prince of Bel-Air and Family Matters. I also travelled to Jamaica a few times throughout my youth and got to feel what it’s like to be surrounded by people that looked like me. A lover of R&B, hip hop and reggae, the music videos I watched also helped inform my definition of beauty. Black was beautiful and so were curves and natural hairstyles. Even with all of these positive influences, I still grew up with a perception that there were certain things I just wouldn’t be able to do because I was Black. Watching the news, cartoons and magazines where it was always the same face made me feel like I was less than rather than worthy to pursue any dream that I may desire; however, through the love of my family, travelling, living on other continents and excellent mentors of all backgrounds, my view of myself and what is possible now feels limitless. What are signs of progress in society now that are hopeful to you? Oh, this is an amazing time. 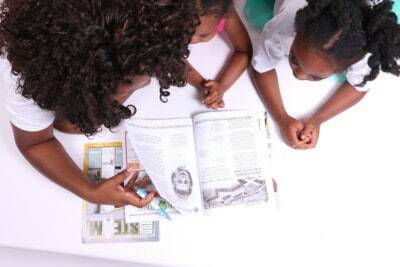 I beam with pride at the ample examples of Black excellence I can share with my girls. The biggest sign of progress is former US President Barack Obama. I was in awe. It means as a society there was a majority of people that saw beyond the colour of his skin and judged him by his character. In daily life, there are also great signs of progress: the cartoons my girls watch have diverse characters; the local library has a diverse selection of books; at their school and daycare there are toys, dolls and games that reflect multiple ethnicities. There are multiple narratives for each racial group; not just the caricatures that are sometimes referenced on TV. This normalization of diversity ensures they won’t start to build unconscious bias around what type of person can do what or how anyone should be expected to act. Where do we still need to focus energy when it comes to raising confident children who value equity and inclusiveness? It starts at home. As a parent, if you’re only providing your children with a monolithic view of the world, you’re limiting their ability to appreciate diverse perspectives and experiences. Yes, mainstream media and stores need to become more diverse, but for a child, their sense of the world is shaped in the home. A simple ask for any parent: look around your home, look at the shows your children watch, the toys they play with, the images in their book, and if representation of diversity is lacking, then introduce it. A discussion of race is not required for young children; just exposure and awareness that other races exist and they too can be princesses, doctors and ballerinas. Confident kids are those that have a strong sense of self and respect for others. It makes it easier for them to form friendships and connections with everyone and provides more fulfilling life experiences. The biggest goal behind KIDS SWAG is inspiring confidence. SWAG is a play on words: we are a destination for swag (our products) to inspire swag (a slang term referring to self-confidence). What are some of your favourite bedtime stories? Anansi Stories–they’re well known in Jamaica. Girl of Mine by Jabari Asim–It’s one of the first board books I found online and I immediately fell in love as the main character resembled Kiera. Baby Dance by Ann Taylor–It’s a whimsical story of a dad trying to get his little girl to sleep. So Much! by Tish Cooke–This book touches on the entire extended family and the words are simple and repetitive. Little Leaders–Bold Women in Black History by Vashti Harrison–This is not a read for one night as it profiles over forty Black women that made an impact on civil rights. Kiera gets to pick two of the leaders she wants to learn about. This book is a great reminder of the power of confidence and that girls can do anything. What do you anticipate will be the biggest back-to-school sellers this year? 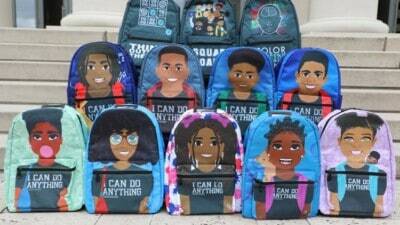 Our “I Can Do Anything” character backpacks that we sourced from a US company called Blended Designs. This is a new partnership and I am looking forward to seeing these backpacks across Canada. The biggest reward for me is not just selling a product but also the feeling it provides our customers and the pride they feel to take pictures and share their story on why they love our store. What about this work do you love most? I love my girls’ reactions to the store. They get to weigh in and try out new products. They’re so excited for birthdays to select a present from my store to give to their friends. I also love the connections I’ve made. When I send out emails to my customers, I don’t refer to them as my customers; they’re family. There are so many of them that have shared kind words, exposed me to new opportunities, and introduced me to programs for my girls. It has truly been amazing to see how my little idea has turned into a business and a beacon of pride for my community. Starting this business is a passion of love. It hurts my heart when a parent shares a story about their child not loving their unique personal beauty. They want to be like the images they see on television, online or in books, and unfortunately those images are subtly stating that they do not measure up or don’t belong. I am doing my small part and hope to build relationships with larger chain stores to make sure it’s no longer a rarity to see products that reflect the diverse beauty of our country. Everyone should feel represented.